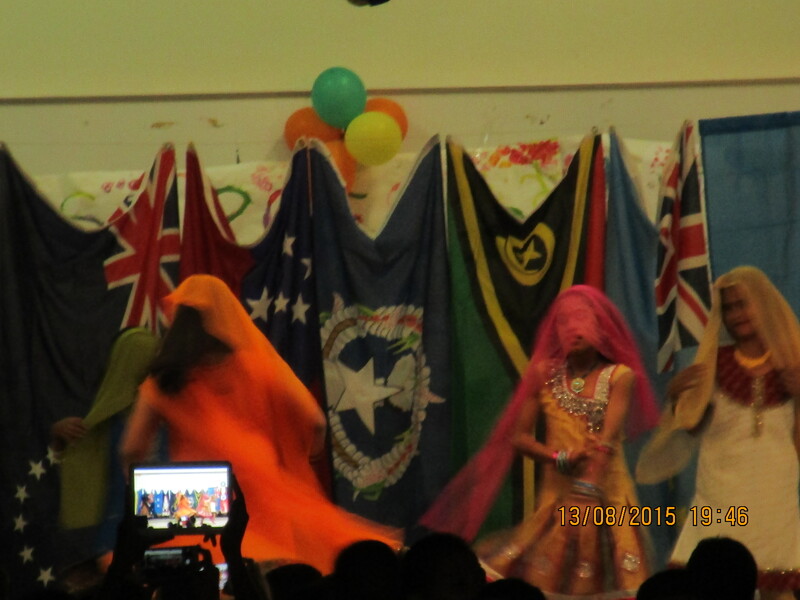 August 10 – 16 – Craig and L'Or L.
The LDS Primary school put on a cultural event this week that included dances from the pacific islands, India, and even America. 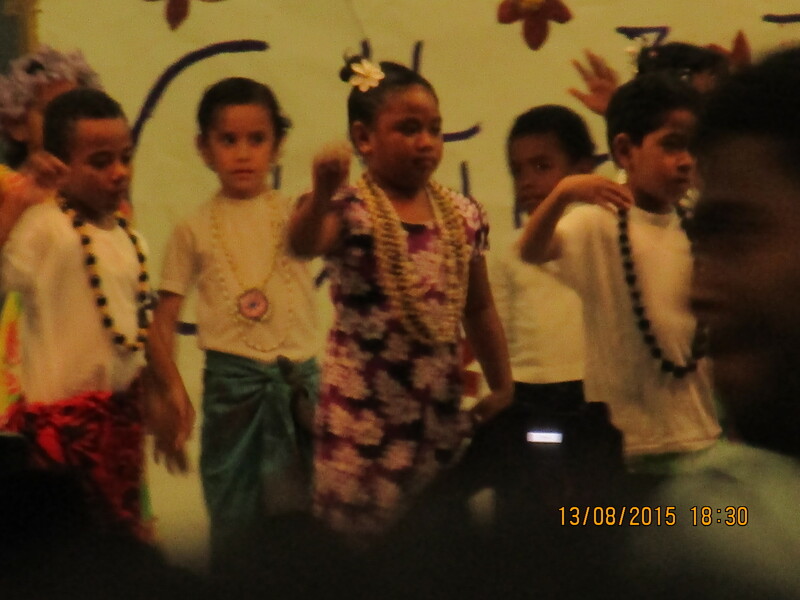 The kids were absolutely darling as each grade performed dances representing the different cultures in our Suva community. Almost all students are LDS, so it was like being at a multi stake party. The kids performed on the stage in the cultural hall of the chapel at the school, and because the pews are not attached to the tile floor, they can be turned around to face the stage in order to accommodate the crowd! We witnessed a sweet tradition: the first time a child dances, an adult drapes a colorful sulu over the shoulder of that child during the performance. One night at the institute, James Johansson told us why so many Maoris joined the church in the late 1800’s: the teachings and actions of the LDS missionaries who came to New Zealand at that time fulfilled some very specific prophecies of at least five old tohungas, or Maori leaders. 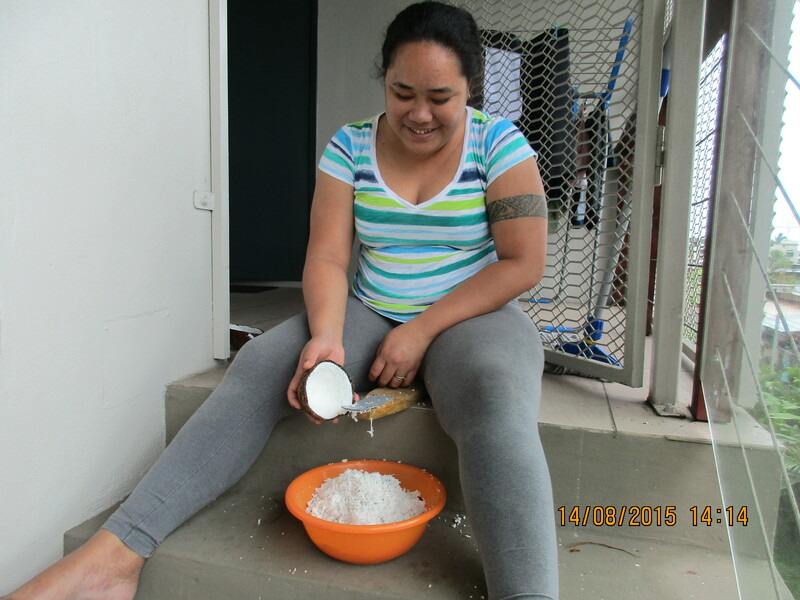 There’s a really interesting article about it at https://www.lds.org/new-era/1981/06/maori-traditions-and-the-mormon-church?lang=eng. 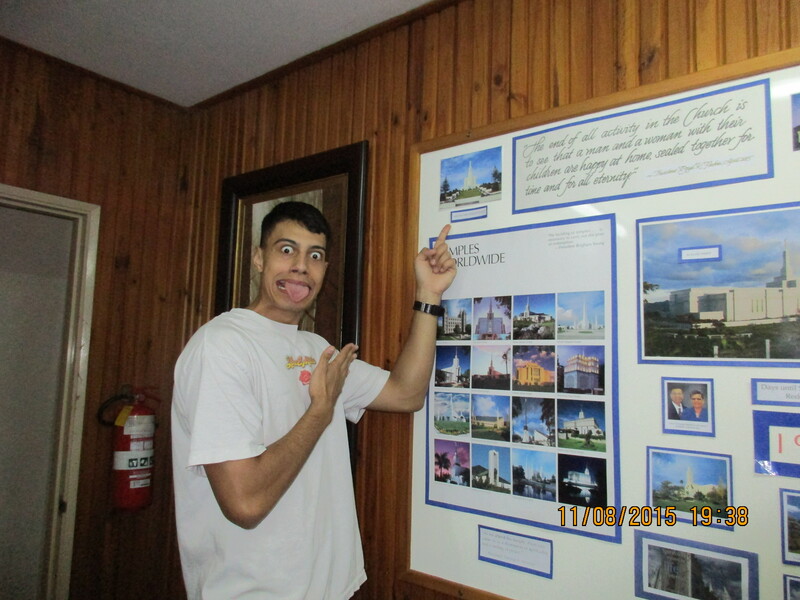 James, showing us his best “peruperu” Maori war face (minus the tatoos, of course). James when he’s not scary, telling us about the New Zealand temple. 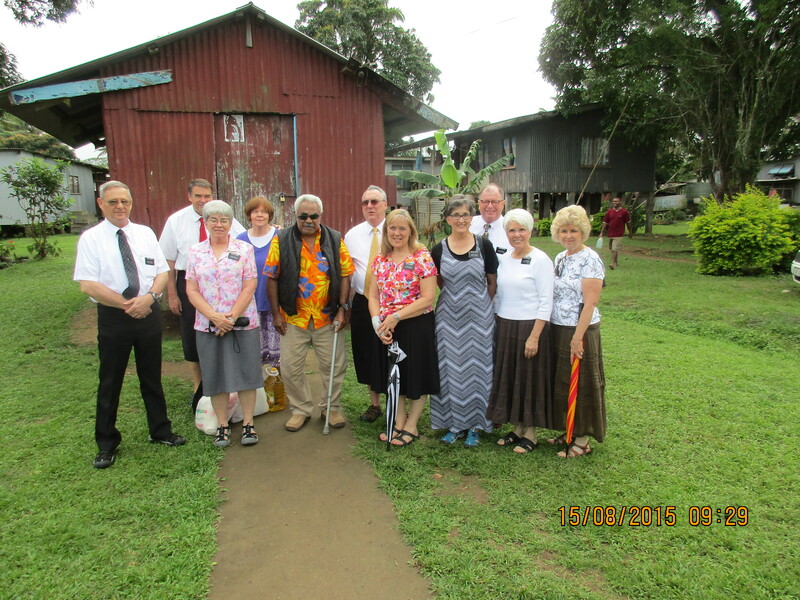 We were invited to visit the Navatuyaba village by Bishop Savu, who leads a clan of “a hundred plus” extended family who are almost all members of the Church. What a humbling experience! 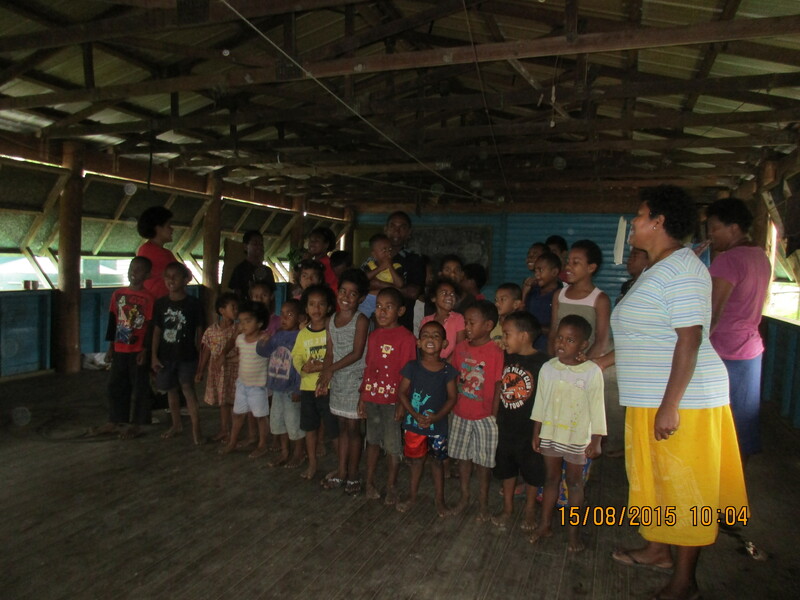 The village chief was very kind even though he wasn’t feeling well, and the kids brought us to tears singing Primary songs. It takes those children from 6am to 6pm to get to a bus, ride the bus to school, attend classes, and travel back home. 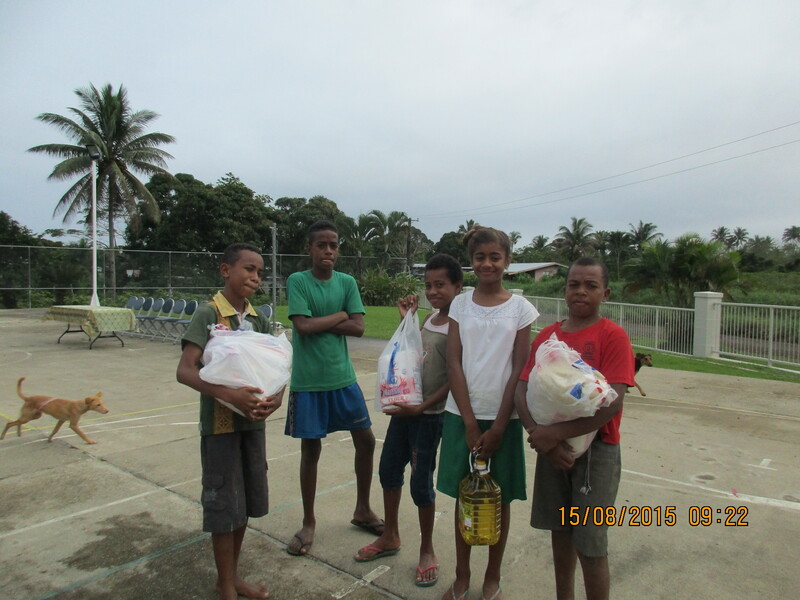 Boys with our gifts of food for the chief, standing in the parking lot of the village’s beautiful new LDS chapel. Our group of senior couples with the village chief. (which made it sound like the “hundred-plus” were all children, singing at the top of their lungs!). 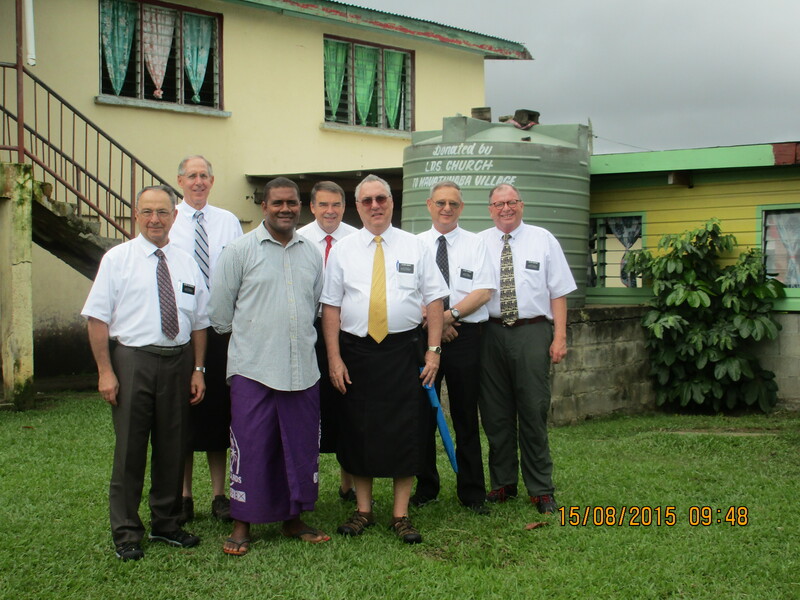 Our husbands and Bishop Savu by a water tank donated by the Church. 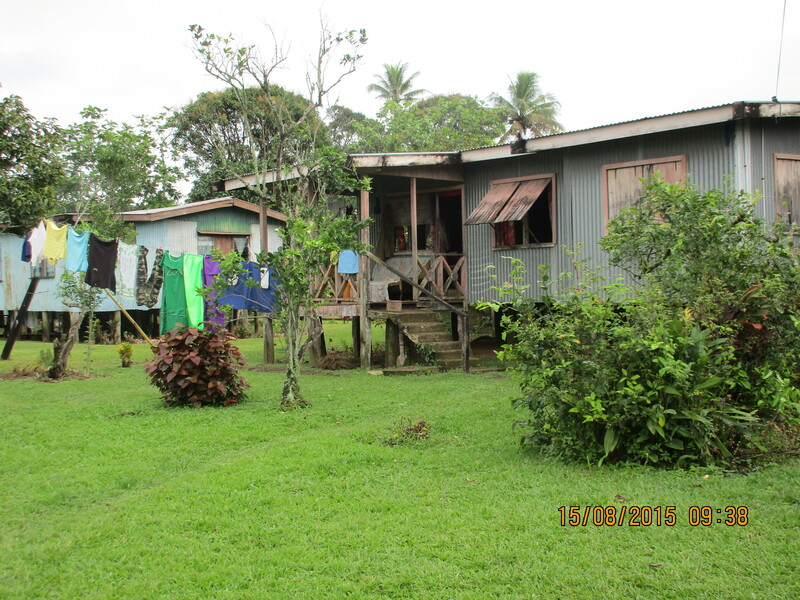 The houses are built on stilts because the village is on an island in the middle of a river that floods frequently. 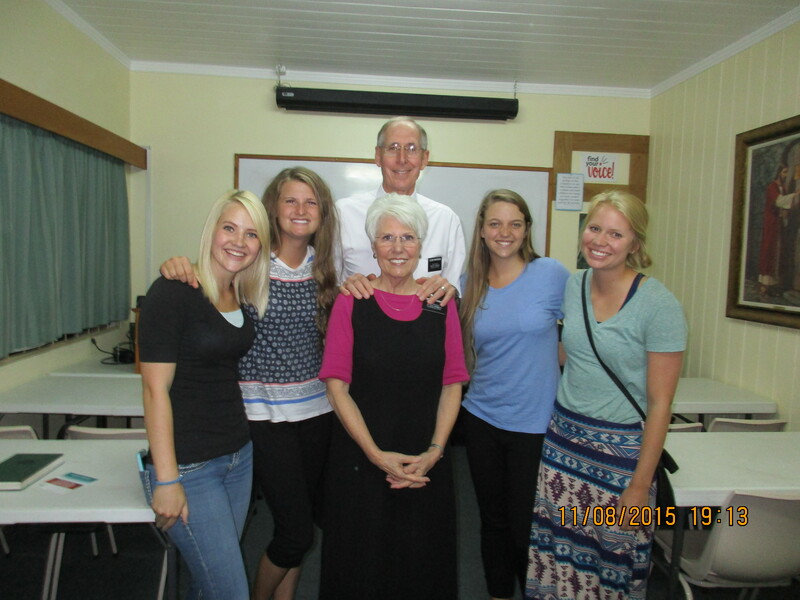 The wonderful HELP International volunteers left this week – it sure was hard to say goodbye! Kelly, Tylie, Sarah and Allie after their last institute class — we sure will miss them! 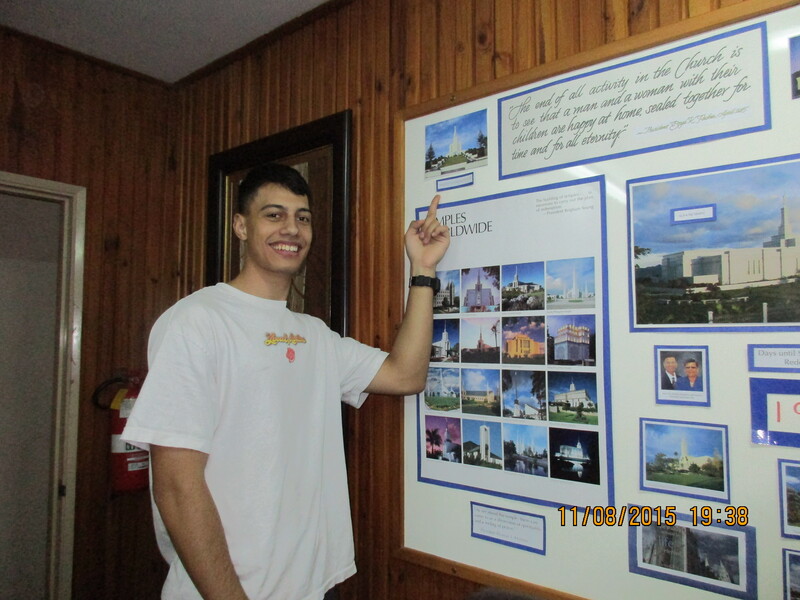 But then, we also got to welcome some new faces — like Thomasi, who came to the institute the day after returning home from a special nine month mission. In spite of his disabilities and with no support from home, he earned money for his mission by washing cars. He is an amazing, humble young man. Thomasi has a sixth grade education, but hopes to continue his schooling and become independent. Attach a piece of metal with a saw-tooth edge to a board, sit on the board, and grate away! 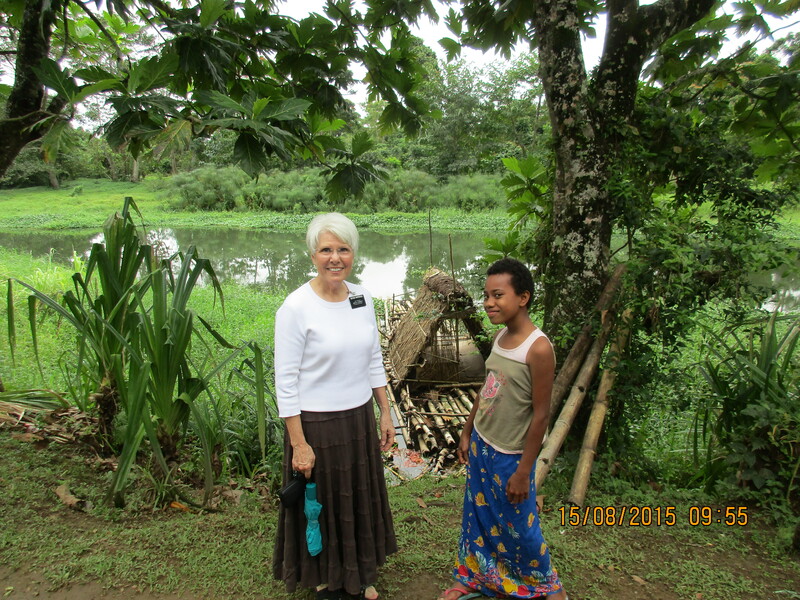 You learn something new everyday — especially here in Fantastic Fiji!